Recently a friend came to see me and brought with him a copy of an article written by me and published in The Muslim journal of the Federation of Students Islamic Societies of the UK and Eire, in October, 1976. It was called 'Let's all innovate.' In those days my concern was to guide Muslim students away from western-style pursuit of 'objective' truth. I argued that there was no such thing as 'non-aligned truth.' The only truth properly so-called was subjective to the values of Islam. The article concluded with the following two paragraphs. The greater understanding of Islam in the context of contemporary historical situation that we seek should create a fusion of belief and reason of a kind we have not experienced among Muslims in their period of decline. Such understanding, once acquired, creates a responsibility for action to reshape Muslim societies. This would mean the 'politicization' of the intellectual, the student, the professional, and the social and physical scientist. This is inescapable, indeed highly desirable. Fence-sitting objectivity defeats the purpose of all intellectual pursuit which must be to enrich and, if need be, totally change the society to which the intellectual belongs. 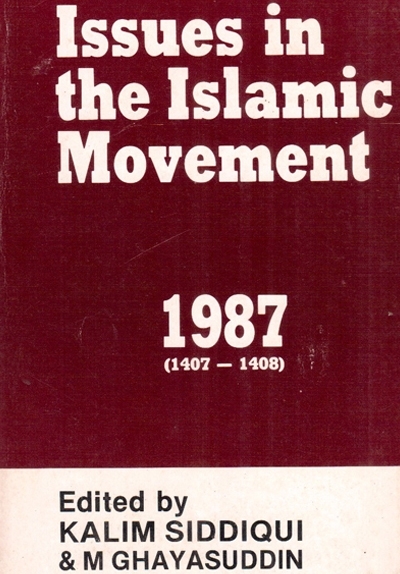 The Islamic movement needs a new type of vitality, vigour and direction. There is also room for experimentation in the structure of its sub-systems. New structures, new leadership styles and new individual and collective life-styles need to be introduced. The failure of the 'political party' approach has created an organizational vacuum of monumental proportions. Innovation is needed at all points of the behavioural spectrum - from the individual to the Ummah. And who better to innovate than the students? These annual anthologies are a record of innovation in one particular field - Journalism. We have taken the best skills of journalism from the secular world and applied them to report, describe and analyze the contemporary world from the perspective of the Islamic movement. We have virtually invented, or reinvented, Journalism in the service of Islam. Our writers contributors and commentators have reached new levels of excellence. We have also used writing to change the situations we have been writing about Our description has often brought out hidden facets of reality. By, altering the perception of reality, we have changed the reality itself. A whole new generation has learned to see the world differently through our writings. Those who keep these anthologies on their shelves find easy reference to one of the most exciting decades in our history at their fingertips. But let me admit at once that the extent of innovative zeal we have, shown has been cautious. The reasons for this include my own Judgement as to how much innovation was sustainable over a short period of time. The availability of manpower and other resources has also been a restraining factor. I am forever living in the hope that perhaps soon these restraints will disappear insha 'Allah.